Family members and loved ones of 52 military men killed in a November 1952 plane crash in Alaska are expressing frustration that remains recovered from that crash last year have not been identified. 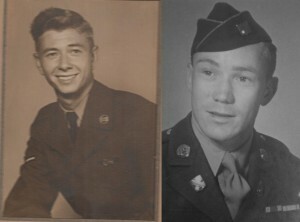 Air Force Airman 3rd Class Wayne Dean Jackson of Downing (left) and Army Technical Sergeant Leonard George Unger of Gerald were the Missouri men killed in the 1952 crash of a C-124 in Alaska. No remains recovered from that crash have been identified as belonging to them. Two of the men killed in that crash are from Missouri. 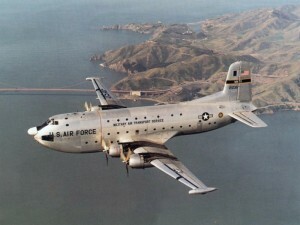 The wreckage of the C-124 Globemaster was rediscovered in 2012 and efforts to recover remains began the next year. It was announced in June, 2014, that remains recovered in 2013 were identified as belonging to 17 of those men and had been returned to families for burial. Remains recovered in 2014 remain unidentified, however, and some family members say enough time has passed. Tonja Anderson-Dell’s grandfather, Airman Isaac W. Anderson Sr., died in that crash. She wants to know what has taken so long. Three agencies formerly responsible for the recovery and identification of missing military personnel were last year consolidated into one, the Defense MIA/POW Accounting Agency. The transition came after those agencies were criticized for not identifying enough remains in a year, as well as for the recovery and ID methods used and for staging fake coming home ceremonies with empty, flag-draped caskets taken off planes that weren’t capable of flying. Congress ordered those three agencies to reach 200 identifications a year but they had averaged about 70 a year since 2010. 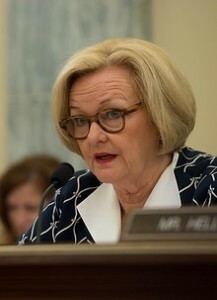 Senator Claire McCaskill (D-Missouri) was one of the biggest critics of those three agencies. Anderson-Dell reached out to her office and McCaskill says she has talked to DPAA about this case. “There is nothing that should be more important than recovering all the lost remains of our heroes, our fallen, who have defended our country or were in the act of defending our country when we lost them,” McCaskill told Missourinet. But, she said, the unique circumstances of the crash site might have contributed to the length of time involved. The plane’s wreckage has been carried roughly 15 miles from the crash site by the Colony Glacier, which is slowly pushing into Lake George. The site is only accessible two weeks a year. “I certainly have inquired. [The DPAA knows] I’m paying attention, and I obviously, my goal is to get closure for these families if it’s at all possible,” said McCaskill. Anderson-Dell said she is aware of the transition from three agencies to DPAA, but is not satisfied with the responses she’s been getting after calls to several agencies. Anderson-Dell said she has been given a run-around when she has sought information about the status of the identification. Vicki Kelso Dodson was seven when the plane crashed. 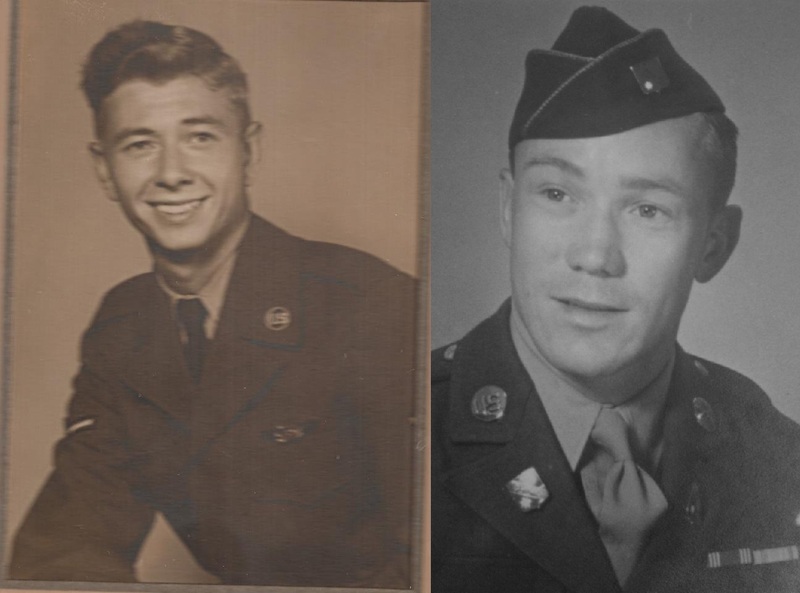 She considered Air Force Airman 3rd Class Wayne Dean Jackson of Downing, Missouri, a big brother, and was raised largely by Jackson’s mother, who often talked about wanting to bring him home. She told Missourinet time is of the essence to find answers for the families of the unaccounted for men. Anderson-Dell said many of these families had moved on until the plane was rediscovered in 2012, and since then they have experienced a roller-coaster of emotions. Attempts to speak with a representative of DPAA or the Air Force Medical Examiner System were not replied to by the time this story was written. Paul Stone with the Medical Examiner System told Missourinet in a story in early August that it can take “several months” to complete the DNA work necessary for an identification. Anderson-Dell said after more than a year she thinks the agency has had more than the time it needs. A team returned to the Colony Glacier in June in an attempt to recover more human remains and debris. Dodson and Anderson-Dell say they have been told that more remains were recovered, and Anderson-Dell believes more were recovered in that trip than in all previous visits, combined.